Lenders working with Fannie Mae, Freddie Mac and Ginnie Mae have a variety of execution options for swapping loans for mortgage-backed securities. Bulk portfolio sales are an ideal way to reduce capital needs, increase profitability and mitigate interest rate risk. Mortgage Delivery Specialists experts help you maximize your MBS bulk transactions executions. 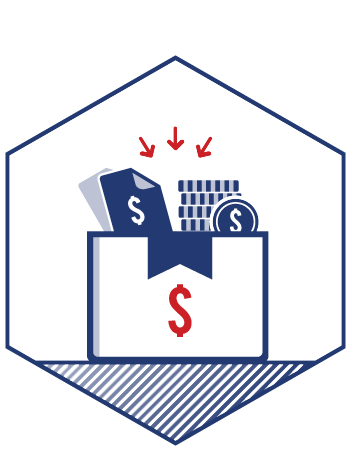 MDS’s proprietary methodologies ensure that loans are delivered timely and accurately. All bulk delivery services are customized to match lender needs. MDS professionals are experienced in all loan types including fixed rate loans, adjustable rate (ARM) loans and reverse mortgage loans. Using the experts at Mortgage Delivery Specialists to assist with bulk transactions helps you avoid costly errors, expand your mortgage-backed securitization capacity and manage your personnel costs. *As part of our standard Fannie Mae delivery process, MDS runs all loans through EarlyCheck. This enables us to identify any discrepancies between the DU information used to qualify loans for sale to Fannie Mae and the information provided to MDS by the Seller. Loans with discrepancies that are outside the Fannie Mae tolerance will trigger a Fatal edit. The EarlyCheck process also identifies loans with LQI (Loan Quality Initiative) Fatal edits. MDS continues to update our internal and proprietary edits in an effort to identify and cure these LQI edits early in the loan delivery process for both Bulk and Flow deliveries to Fannie Mae. **MDS has completed its verification in the GSE ULDD MISMO Version 3.0 framework. The ULDD XML file is part of the UMDPSM (Uniform Mortgage Data ProgramSM) that has been jointly established by Fannie Mae and Freddie Mac at the direction of their regulator, the Federal Housing Finance Agency (FHFA). MDS has incorporated these new requirements into its current GSE deliveries and has been successful in delivering loans in the Fannie Mae Early Readiness XML format and successfully completed its verification with Freddie Mac. For more information or a free consultation, call us at (262) 746-9215 or use the form below. Want more information or a free consultation?